Full disclosure: LUSH paid for the author’s travel and accommodation; opinions expressed here are her own. 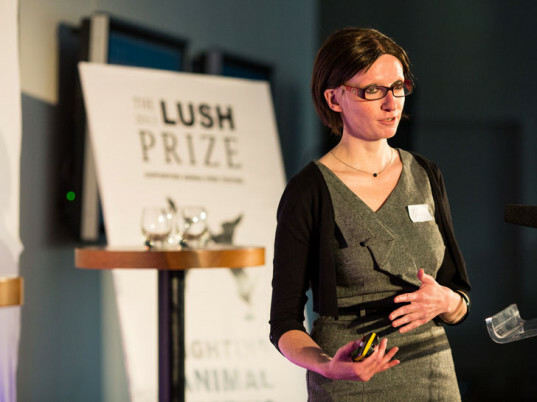 LUSH Cosmetics celebrated the second year of its prestigious LUSH Prize, which awards £250,000 to individuals working on projects that rally against animal testing. In a partnership with Ethical Consumer, the prize is awarded in five categories; a Science Prize for the development of replacement non-animal tests, a Training Prize for training researchers in non-animal tests, a Lobbying Prize for policy interventions to promote the use of replacements, a Public Awareness Prize for public-awareness raising of ongoing testing, and to four post graduates working on replacement research for the Young Researcher Award. 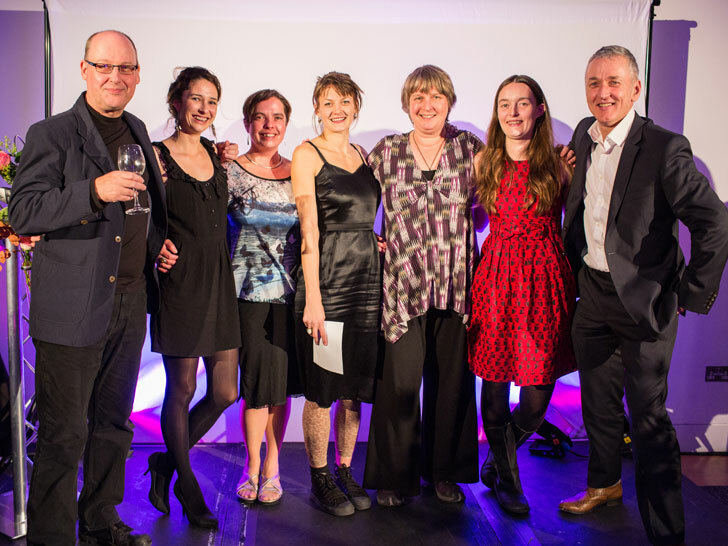 The award was celebrated with an evening of conversation, delicious vegan food, upcycled art by Tracey Graham, and incite into the word of the incredible winners of the second LUSH Prize. 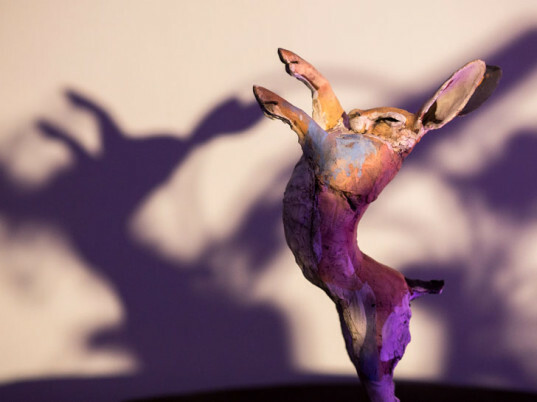 Last year LUSH Cosmetics raised the bar from being a cruelty-free cosmetics company and became an assertive innovative toward permanently ending animal testing. Aside from being completely inhumane, testing on animals can predict only 43% on human reactions, making it even more senseless. The popularity of the prize saw more applicants in the science prize for 2013, an increase of 40% adding more inspiring animal replacement research for the judges to consider. The two science prizes of £25,000 were awarded to the Lung and Particle Research Group, which has developed a non-animal inhalation toxicology application for testing the human respiratory system; and to QSAR and Molecular Modeling Group, which has relates biology and chemistry to predict the effects of chemicals on the body- in the lab. Training awards of £25,000 were awarded to XCellR8 Ltd from the UK and Anna Maria Bassi at the University of Genova, who both provide training for advanced human cell culture research technologies, helping to bring animal-free cell culture to more professionals. American company International Council on Animal Protection in OECD Programs was awarded a large prize of £40,000 for the Lobbying Prize, for their excellent work in promoting non-animal methods with the OECD. The Swedish Fund for Research without Animal Experiments were awarded £10,000 for the same prize, for their success in turning Swedish regulators back to replacing animal testing after the last government switched many testing practices. When accepting PETA’s Laboratory Investigation Department’s £25,000 award for Public Awareness, Justin Goodman put it best by stressing that innovation changes with public opinion, which he attributes as the driving force behind the success of PETA’s influence on urging companies to adopt cruelty-free policies. New Zealand’s SAFE efforts have also brought the realities of animal testing on cosmetics and party pills to the forefront, nabbing them a £25,000 award as well. Four young researchers were awarded £12,500 each to help continue their post-graduate research. Katja Reinhard’s research uses human retinal tissue in vitro, Simona Martinotti studies the healing properties of honey, Lydia Aschauer improves in-vitro testing on toxicity effects of human kidneys, while Alice Limonciel uses molecular research to predict human responses to chemicals. Each of these ambitious projects pushes animal testing alternatives ahead, creating inspiration that will hopefully equate a future of animal-free science. Congratulations to the winners and to LUSH Cosmetics for being a leader of innovation and change. Why does the PETA link go to a three-year-old article? Maybe because PETA hasn't done an actual laboratory investigation in years? Full disclosure: LUSH paid for the author's travel and accommodation; opinions expressed here are her own.